Early proof half dimes extremely rare and valuable coins that surface on scarce occasion at public auction and in private transactions. If one were to count special strikes among the early half dimes, then the earliest entry here would be the 1794 special strike Flowing Hair half dime, with a reported mintage of just 3 and mysterious origins. 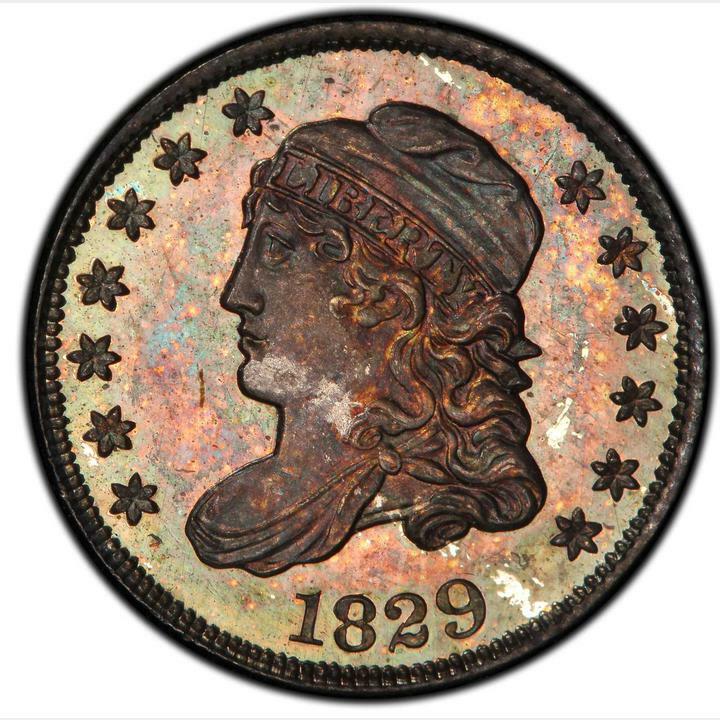 The earliest official proof half dimes are counted among the Capped Bust type, which ran from 1829 through 1837. Proof specimens exist for the 1829, 1830, 1831, 1832, 1834, 1836, and 1837 Capped Bust Large 5C issues. Mintages for each of these pieces range from fewer than 5 specimens to about 20 or so, with the number of survivors generally about half of the original mintage figure. Cameo specimens exist for some of these issues, and those pieces are especially coveted among collectors of early type coinage.